Rick Platt: Thank You, Manufacturers and Suburbs! Thank You, Manufacturers and Suburbs! 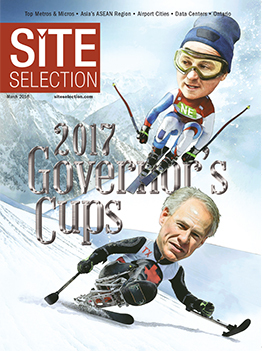 Ohio gained second place in the race put on every year by the people at Site Selection magazine. Second place means Ohio trailed only Texas in economic development project announcements in 2017. It's a race for coveted capital investment and jobs. Big thanks go to Ohio's manufacturing sector and Ohio's suburban places for this jobs and investment win. Confirming a trend that has been the case for at least a decade, Ohio's success is owed to the state's suburban and rural areas for giving Ohio an edge. Manufacturing carried its weight. 53% of the projects Ohio submitted were in manufacturing. That's up from the past two years. Suburbs and exurbs were the magnets for big investments to Ohio. Ohio enjoyed 30 projects with investments over $50 million announced in 2017. 20 of these were manufacturing projects. Fully 19 of the 20 came from Ohio's smaller cities. That 95%. Manufacturing found suburbs and exurbs the place to invest. It's no surprise that 94% of the manufacturing projects on the list came from outside Ohio's "3C's" of Cincinnati, Columbus, and Cleveland. It's no surprise because since checking this stat for seven years, it's never been below 89% in any given year. Suburbs can take a bow for Ohio's second place finish. Ohio's less urban counties combined to bring 69% of the projects. Clearly, Ohio economic development benefits from the work of all of its counties. Any policy in Ohio that would aim to harm suburbs' ability to compete globally would harm Ohio's competitiveness overall. The bottom line policy-wise for 2018 and beyond: Ohio's next Governor needs to embrace manufacturing as well as embrace suburban and rural areas for the key role they play in Ohio's development success. Winning depends on it. This analysis comes from ten years of reviewing the data that has been used to rank Ohio. The trends are consistent. The 2017 version of the Ohio Private Investment Survey was recently published to share the list of projects Ohio's Development Services Agency used to help tip the scales in Ohio's favor. Ohio submitted 392 projects fitting that criteria. The list shows Cleveland, Columbus, and Cincinnati combined for 12 of the 206 manufacturing projects in the state. That means 94% came from outside of Ohio's three largest cities. Ohio's smaller counties brought 69% of all overall development projects to Ohio, again. Of the total 392 total projects, 272 occurred outside of Ohio's three largest counties--Cuyahoga, Franklin, and Hamilton. That's 69% of the overall projects. Ten years of data show, consistently, that Ohio's success it owed to it's less urban counties. Check it out yourself. The analysis is easily reproduced.